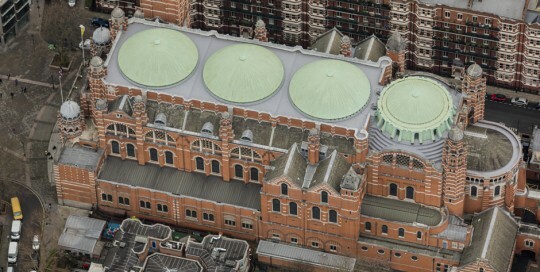 When Westminster Cathedral’s roof was first asphalted back in 1903, it would have utilised naturally occurring asphalt deposits dug up from an overseas lake. These days, things are done a little differently. 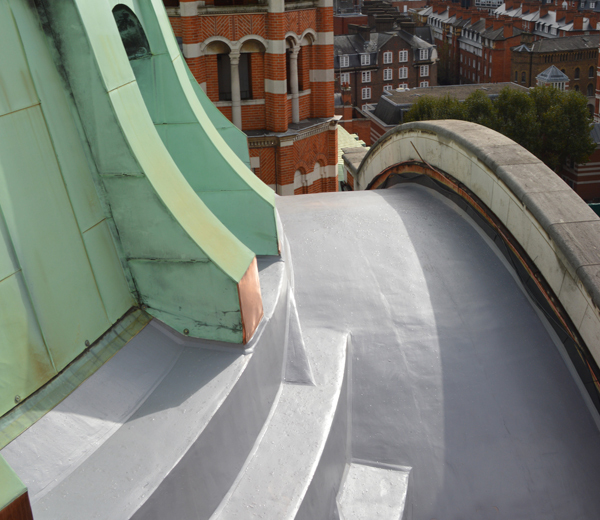 Instead, IKO’s Permaphalt – a polymer modified mastic asphalt – was specified for the extensive reroofing of the Roman Catholic Cathedral by Cathedral Architect, Michael Drury from St Ann’s Gate Architects. “Asphalt had worked well for the Cathedral in the past and there was no reason why it shouldn’t again,” he said, adding that the new roofing’s 25 year guarantee clinched the decision for a like-for-like replacement. Drury had identified the need to replace the roof surface as a priority in his quinquennial inspection of the Cathedral, which was designed in the early Byzantine style by JF Bentley. Although the roof had been repaired over the years, the report detected cracking in the surface and upstands and the presence of moisture within. 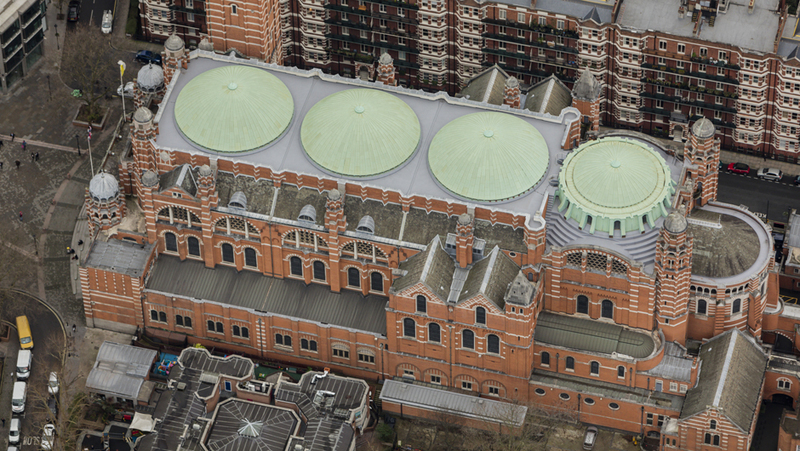 The subsequent reroofing project involved negotiating four copper domes within the rectangular roof plan of the nave and chancel and dealing with deteriorating parapets at the perimeter. The logistical challenges of installing scaffolding at the grade I listed building – essential to facilitate the removal of the original roof surface and to bring up the new materials and equipment required – provided a further level of complexity.